Shifts have grown at a staggering rate. 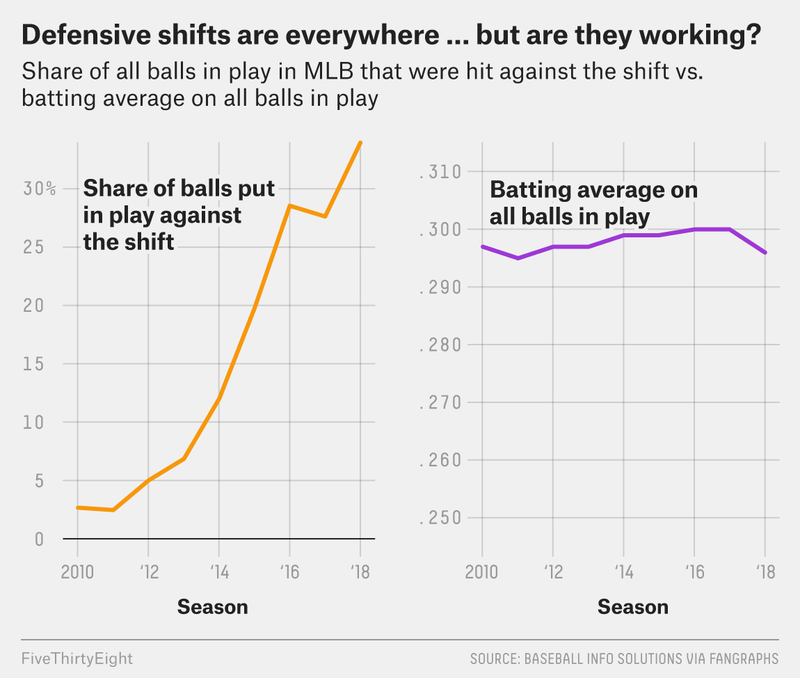 In 2011, defenses deployed the shift — counting both the traditional (three infielders to one side of second base) and non-traditional varieties — during 3,065 major league plate appearances that ended with a ball being put into play,1 according to Baseball Info Solutions data housed at FanGraphs. That’s only 2.6 percent of all at-bats where balls were put in play. The number of plate appearances where hitters faced the shift has increased every year since, save for 2017. 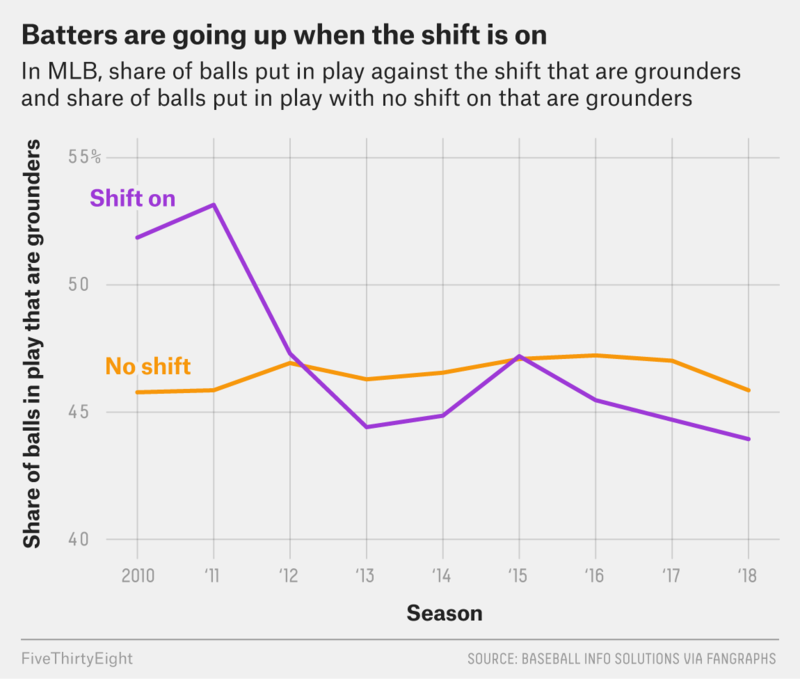 Last season, batters faced the shift in a record 40,730 total plate appearances ending on balls in play — that’s about 34 percent of such plate appearances. The average launch angle of a batted ball has increased in every year of the Statcast era,2 rising gradually from 10.1 degrees in 2015 to 11.7 in 2018. But with the shift on, batters are even more likely to hit the ball in the air. The average launch angle against the shift last season was 14.7 degrees, a notable jump up from 13.1 in 2015.